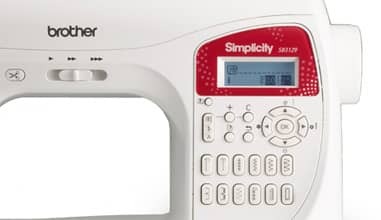 This Simplicity® Limited Edition professional computerized sewing machine allows you to transform your wardrobe by creating stylish and fashion-forward clothing with ease. The SB3129 lets you expand your palette through high-end features and included accessories. Feel inspired to create the garments you never thought possible with this feature–packed machine. With the touch of a button, the LED screen displays the stitch pattern number. 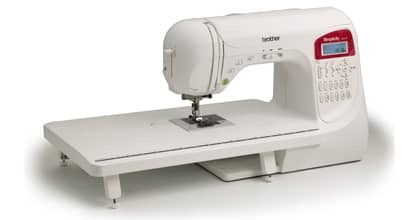 The digital stitch length and width control makes it easy to sew fabric at the precise point you need a stitch. 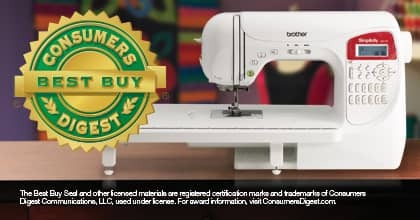 The Quick-Set™ bobbin ensures fast and easy sewing. All 129 stitches are available for reference whenever you need to make your next stitch. If that isn't enough, create your own stitches with the My Custom Stitch™ feature and save for later use! 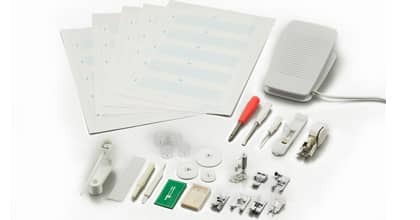 The SB3129 makes sewing fun and exciting!